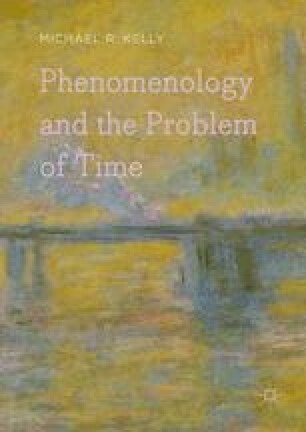 Grasping the uniqueness of the phenomenological movement requires an answer to the now old question of whether Husserl’s phenomenology reinvents the problems that plagued Cartesian or Kantian philosophy. The answer to this question requires, in turn, attention to Husserl’s often overlooked thoughts about immanence, the strategic distinctions he draws within this term, and how these distinctions shed light on more well-known accounts of the phenomenological reduction and intentionality. Given the tendency of phenomenologists after Husserl to criticize his thought in light of his view of immanence, one could say that beginning to understand phenomenology and the early stages of the phenomenological movement rests on understanding the relationship Husserl articulates between intentionality and immanence. Absent of an understanding of Husserl’s account of these related issues, a reader of the phenomenological movement can critically appreciate neither the criticisms Husserl levied against modern views of immanence, nor the criticisms levied against Husserl’s purported view of immanence as a residuum of Cartesian or Kantian idealism. Let’s begin, then, with something like Husserl’s view of Descartes’ and Kant’s views of subjectivity, namely immanence.